Search engines like Google are a great platform to reach out to your potential customers and run paid promotions. 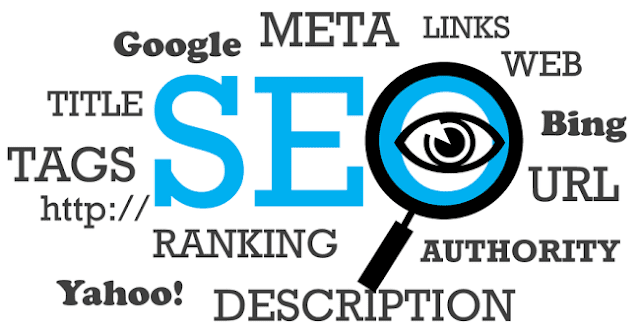 In this Marketing Masterminds blog article we will list down few of the best practices to be followed concerning search engine optimization (SEO) and search engine marketing (SEM). Search engine marketing is one of the most popular digital marketing practices that is bound to deliver results. People use search engines like Google every day and there are valuable tools like Google AdWords that allow you to advertise on search engine and display networks very easily with excellent analytics. Here is a list of tips and best practices you can follow to get started with search engine marketing. 1. Are Search Engines The Right Platform For Your Business? Before you invest in SEO or SEM, you need to be sure whether search engines is the online platform you want to invest on. Make a small background check to know if your potential customers actively use search (as opposed to social media for instance), if your competitors are investing on search and if product / service categories similar to yours invest on search engine marketing. The secret to SEM quite simple: having a strong content strategy that provides relevant and informative to the viewers and using the relevant keywords wherever required in a strategic manner. You need to make a list of important keywords that your content is going to have, keywords you will run your AdWords campaigns with. These are the probable keywords your potential customers would type in the search bar. There are many tools including Google’s Keyword Planner that will help you curate this list. Now that you have chosen the platform i.e. search and also the keywords which you are going to focus on with your search ads, it is time to prepare the ad copies for the various keywords. You can choose the search page layout i.e. the place on the SERP where your ad will be placed. You can also add extensions to your ad copy that will enable users to engage with your ad; popular extensions for search engine marketing are call, location, message etc. Ready Once the users click on your ad, they will be redirected to a certain website. This web page is called the landing page and contains all the necessary details for which the user clicked on the ad. You need to keep this landing page relevant, useful and easy to read/engage. Misleading ads, irrelevant information and incomplete landing pages are a few of the mistakes you need to avoid while practicing search engine marketing. Once the ad copies and following landing pages are ready, it is time to bid for the keywords you want to advertise and get the ads up and running. Once the ad is running, constantly review the performance of your ads and make necessary changes. You can use the help of an SEM professional who is known for search engine marketing for both bidding and reviewing of search ads. When it comes to optimizing your website for search engines, nothing beats backlink building. It has always been a top ranking signal for Google and other major search engines. The more free backlinks you can accumulate, the higher your website will rank in all searches. If SEO and search engine marketing is right for you then you should get started immediately! Google waits for no one. Now Read: What Is The Right Advertising Medium For Your Business?